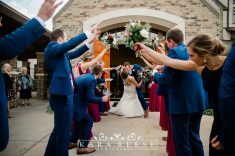 Fall Weddings in Wisconsin, there’s something so magical about the brisk air on a special day! 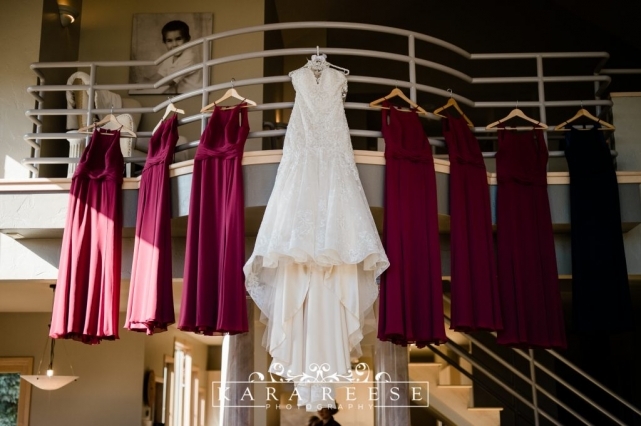 At Kara Reese Photography we love putting you at ease during every step of your Wedding process. It was such a pleasure working with Malea and Nick, their images are spectacular. Malea took so much care in every detail of the day, I am so excited to share her perspective and advice with you in this post. Do you have a fall wedding in your dreams? Let’s make it a reality! Book a consultation, let’s grab a pumpkin spice latte and start this storytelling journey together! Do they have PSLs in February? 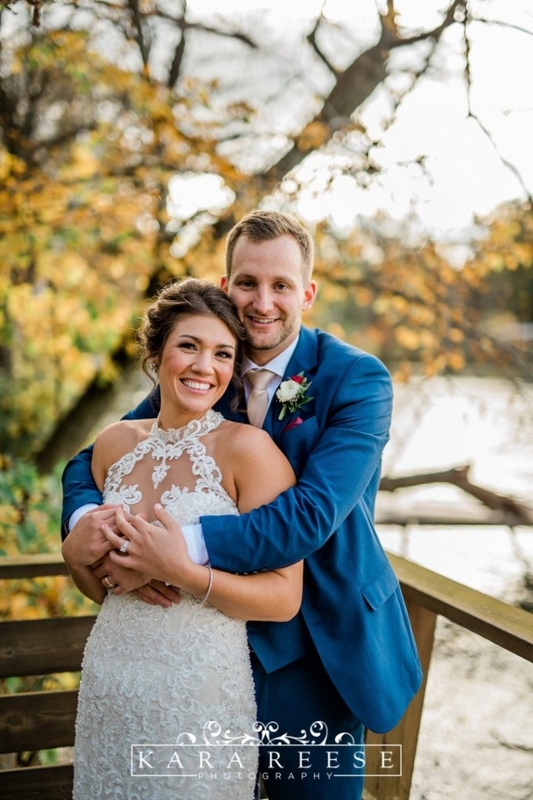 Malea and Nick first met in dental school at Marquette! Separate clinic groups and opposite ends of the alphabet kept them apart at first! But, through mutual friends they continued to meet up more and more at dental school functions and became closer as friends. Finally, at their Sophomore year Winter Gala, they really hit it off; Nick asked Malea to go out for dinner with him that next week! After graduating from dental school, Nick knew Malea was the one and had a plan for a summer engagement. After sneaking the ring past the metal detectors at the U.S. Open at Erin Hills and managing not to lose it in the fescue, Nick proposed on the golf course, hole #2, with Holy Hill in the background! Malea’s family was all there; it was an incredible day! Unbeknownst to them, a professional photographer and journalist covering the tournament spotted them and managed to capture the moment! Tell me about the dress? How did you know it was the one? This is a special story! My mom surprised me with a trip to NYC! I was able to take my mom, maid of honor and my aunt on a weekend trip I will never forget! We met one of my best friends from college out there who lived in New York! AND yes – we went to Kleinfelds!!!!! My consultant was fabulous! I tried on probably 5-6 dresses (in a style I thought I really wanted) and I didn’t really LOVE any of them. Brandi (my consultant) pulled one final dress that had a couple components I told her at the beginning I didn’t think I liked… I looked at it on the hanger and did have a couple doubts… but she convinced me to try it on anyway! I put it on, looked in the mirror, and immediately started crying. This was the one!!! I went out to show my gals and everyone else started crying! I absolutely fell in love with the detail – both front and back, beading, mermaid style I never though I would wear! AND right then and there I “Said YES to the dress” 🙂 A moment I will never forget!! Did you chose to see each other before the ceremony? YES! We did a first look and bridal party pictures prior to the wedding ceremony! Kara was the one who talked me into this decision, and I am SO glad she did! It was a moment for just the two of us! A moment to take one more deep breath before committing ourselves to each other with all of our friends and family! It made the actual ceremony much more relaxing!! One for the books! It took a lot of planning, but every effort put into the day was so worth it! I had fantastic people helping me throughout the process and the day itself was almost flawless. What advice would you offer other couples planning their wedding? Have fun with it! There are going to be stressful times during planning, but always remember the big picture! It is about you and your significant other – your special day – and nothing should get in the way of that! Take your time when deciding on your vendors – at the end of the day they are the ones you have to trust to make your day go smoothly and make your vision come true! The colors of the trees were perfect for this fall wedding! Couldn’t have asked for a more beautiful day for this sweet couple! ﻿What photography advice would you give to an engaged couple? Any tips for preparing your bridal party for photos? I did not prepare them at all – we ended up walking into the woods under fall colors – this wasn’t really organized! But we made it work with the time we had! And we had a very fun bridal party! If I were to do it again – I would have allotted more time for bridal party pictures – especially with my girls – it takes longer than you would think for everyone to get ready! It would help if you knew what kind of pictures you wanted with your bridal party as well! – It’s all about timing – if you have enough time I don’t think it would be an issue! 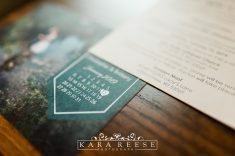 How was your experience working with Kara Reese Photography? I truly never had to worry about a thing on the day of the wedding! Kara and her assistant were on top of it! We stuck to our previously planned schedule and everything ran very smoothly! Sometimes I didn’t even know where she was – but looking at our finished pictures – she captured every single moment in a very natural way!! 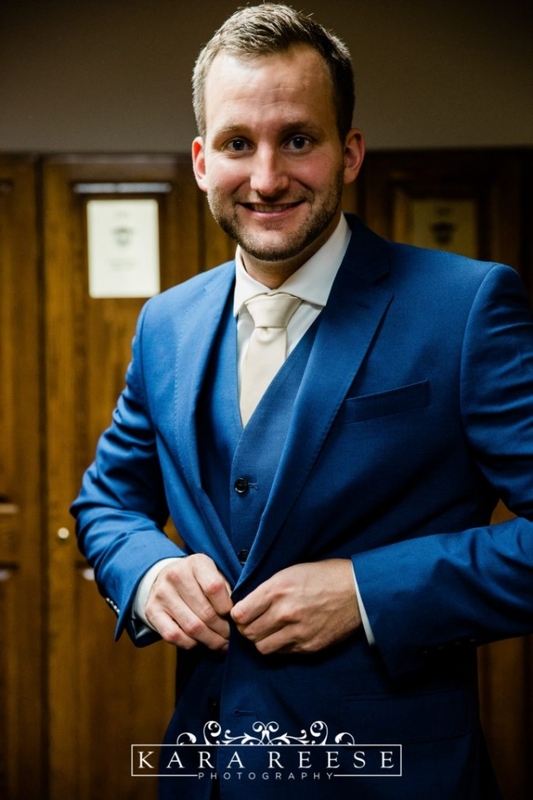 Any tips on preparing for your wedding photos? Do your research on style of photography you want – I am all about the in the moment candid photos and capturing the emotion! Kara nailed it! I loved that we had many different areas that we took Bride and Groom photos – the lake view ones were my favorite! What were you most nervous about going into the big day? Making sure we talked to all of our guests that made the trip to come and celebrate with us! I think we did a pretty good job! And of course we prayed for a beautiful fall day! What were your first dance songs? Honestly all of our vendors made our vision com true! I couldn’t have imagined it any other way!